UAS deployment in support of SAR (and other disaster response incidents) requires professional UAS operators. At the present time, that means that all UAS operations must be performed under a valid COA either by public agencies or by Section 333 exempt operators. I wrote a paper for NASAR explaining this position and how public agencies and SAR volunteers can fly in support of SAR missions while complying with FAA policy/rules/guidelines.Here is the NASAR announcement which includes a link to the paper. To address these issues, Jason Kamdar and I wrote a proposal for a “First Responder COA (FRCOA)” to submit to the FAA. The document can be found here and the NASAR announcement about the paper and other related activity is here. This is even more important when we consider what are appropriate missions for UAVs and how to deploy them. I conducted two very quick experiments to illustrate two of the challenges we face. I intend to develop more formal experiments and welcome others who are interested in assisting with this effort. 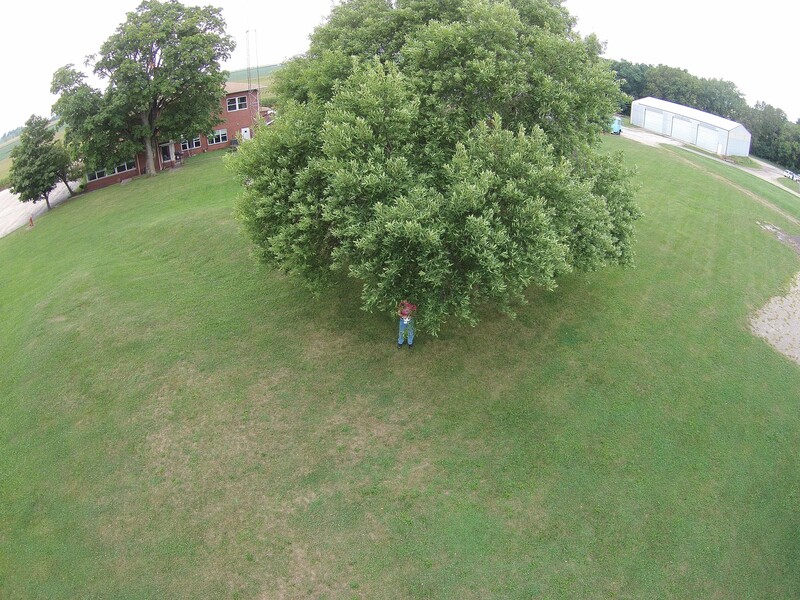 How effective is a UAV when searching an area with trees? 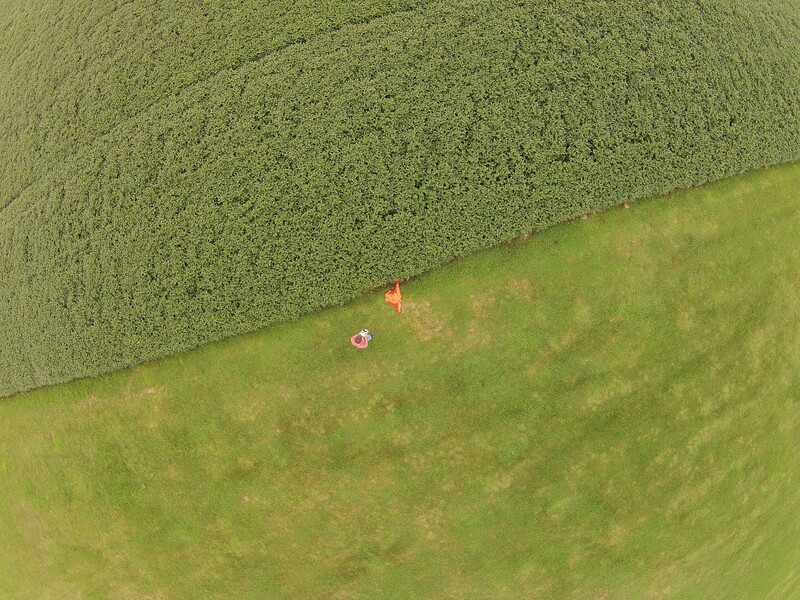 How effective is a UAV when searching for clues in a soybean field? Both of these are simple examples of SAR problems you can adapt to your own operational area. 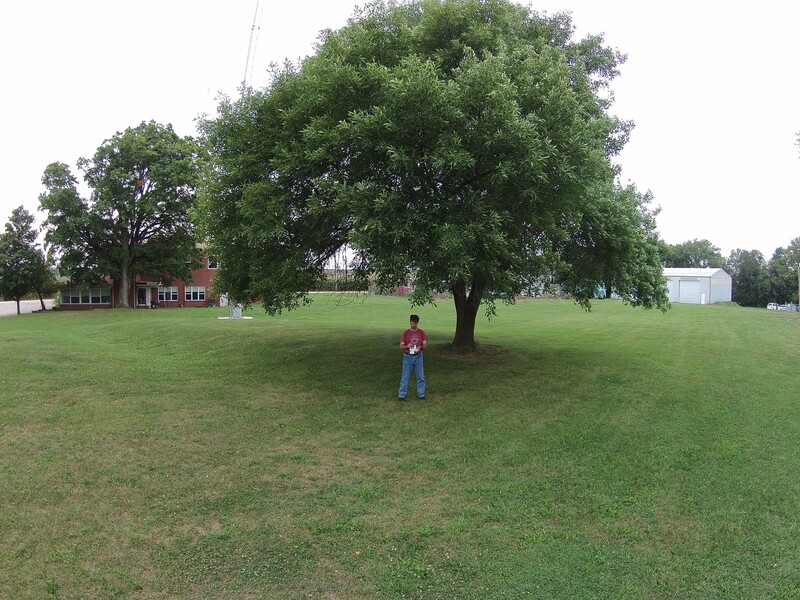 tl;dr – You need to be down very low when searching near trees and finding an unresponsive subject in a soybean field with an optical sensor is very tough. 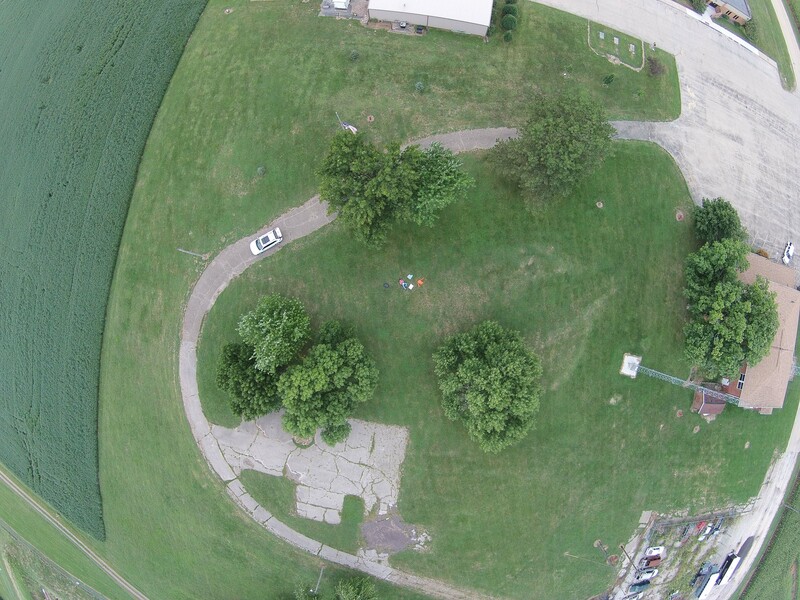 Distance from the UAV to the subject was less than 50 feet in all images. 70 degrees or so. The subject is not visible. 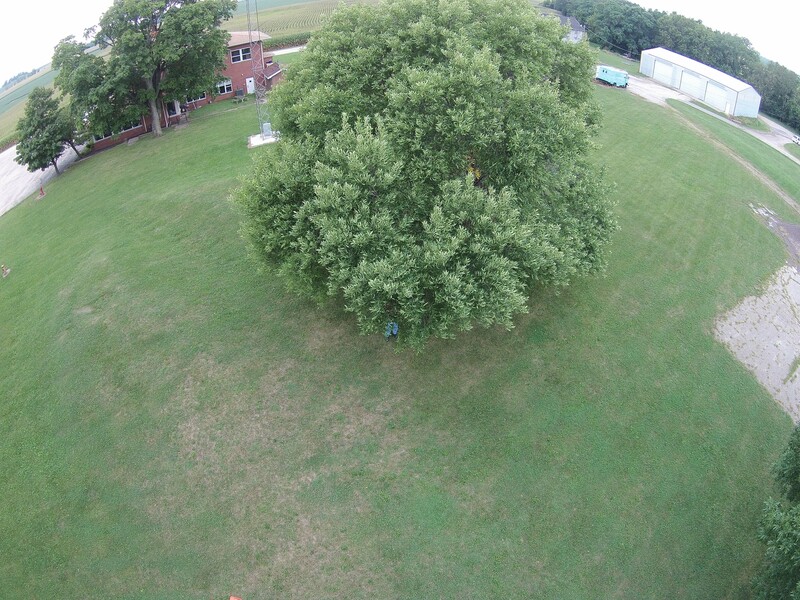 Conclusion – you need to get under the level of the tree branches to search around trees for an unresponsive subject. This will increase your time required to search while diminishing your ability to control the UAV at long ranges. I live, and search, in Illinois. Lots of corn, lots of soybeans. 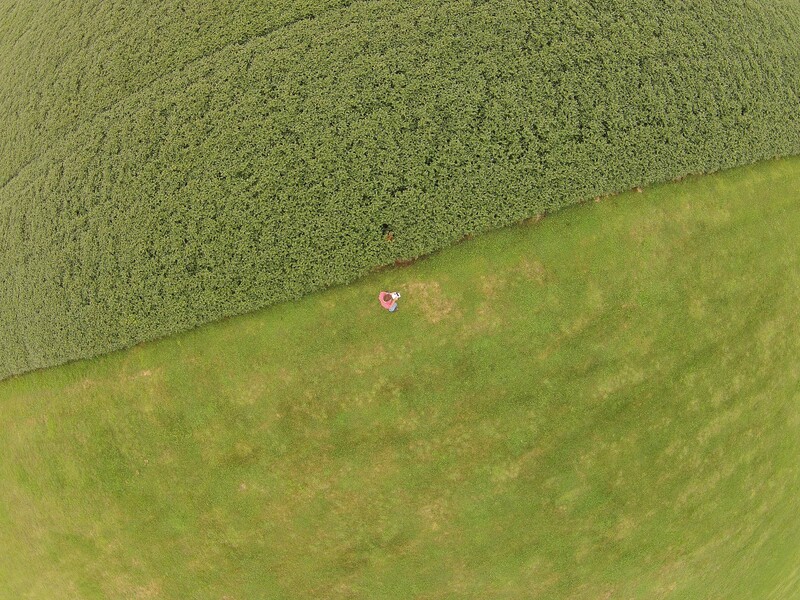 Searching for anyone in a corn field when the corn is above your head is tough. We’ll come back to that one later. Soybeans get to a few feet tall. Walking through soybean fields is … annoying … but you can certainly see a lot more. If the subject is standing up you can just walk to the edge of the field and say “Hey, there they are!” But, what if they are unresponsive and down? 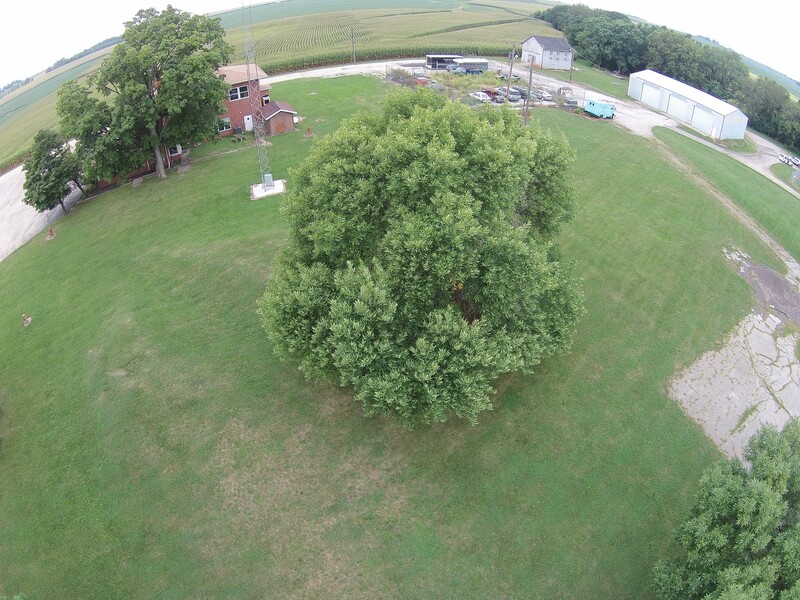 Again, 50 feet up with a DJI Phantom Vision 2+. The subject dropped their high visibility orange shirt, a clue! We can see it easily on the edge of the field. But, what if they dropped it in the field? Since you know it is in the frame, and since it is right next to the pilot, you can probably see it. If you were looking at images from 100 acres of soybeans how confident are you that you’d see this clue, particularly on a small screen? If you are using a normal consumer UAV to search for an unresponsive subject in an area with significant vegetation your probability of detection may be rather low.